Mr Kanagasabai "Devan" Sahadevan is an experienced Consultant Urological Surgeon who treats both private and NHS patients. 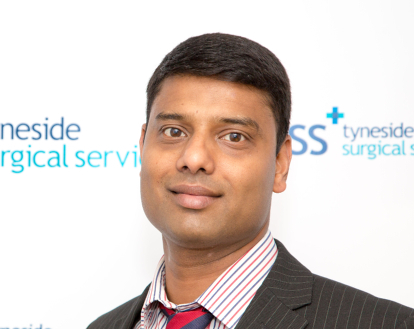 Devan graduated from Mysore University in India, and trained in urology in the North East of England, which is one of the most prestigious training programmes in the UK. He currently sees both men and women with a range of urological conditions (e.g. problems with urination, infection, stones, and incontinence), but also specialises in the management of cancer patients (prostate, kidney, bladder and penile) and male genital (sexual organ, andrology) problems. Devan is an expert in keyhole surgery, having undertaken specialist (fellowship) training in world-famous centres in Spain and USA. He was one of the first surgeons in the North East to undertake robotic surgery for prostate cancer in 2013 and one of the high volume prostate surgeons in the North East. More recently, he is undertaking more complex robotic procedures (e.g. ureterolysis, ureteric reimplantation) not undertaken in any other centres in the region. He now has more than 400 robotic cases to his name with excellent results and patient satisfaction. Devan prides himself on his holistic (looking at the patient as a whole) approach to patient care, by listening carefully to his patients’ needs and expectations, rather than focusing solely on the medical diagnosis. He has a multi-disciplinary (i.e. involves other specialists) approach to the treatment of his patients, and enjoys working closely with his colleagues. Devan holds a MD research degree in prostate cancer from the Northern Institute for Cancer Research at Newcastle University, and has published extensively in the field. He is an honorary Senior Lecturer and takes an active part in teaching and urology research for Newcastle and Sunderland Universities. Outside of work, Devan enjoys playing cricket and badminton and is busily occupied looking after his 3 boys.